Hill began anchoring the 6:00 pm showing of SportsCenter in February alongside co-host Michael Smith. He will continue to anchor the show, but it's unclear whether he will host solo or if ESPN will fill Hill's spot. Her last show will be next Friday. "There is an old adage that says, the heart wants what it wants," Hill said in a statement. "I started at ESPN 11 years ago as a columnist and while I have worn many hats in the time since, my true love always has been writing, reporting and commentary." She said that "deep down" she knew her role at SportsCenter wasn't her "calling." Hill will write columns, interview big-name athletes and host events and initiatives for The Undefeated. She'll also do longform pieces for ESPN and provide commentary on various ESPN TV shows, radio programs and podcasts. Hill made news in September for tweets she posted about President Donald Trump, calling him a "white supremacist." 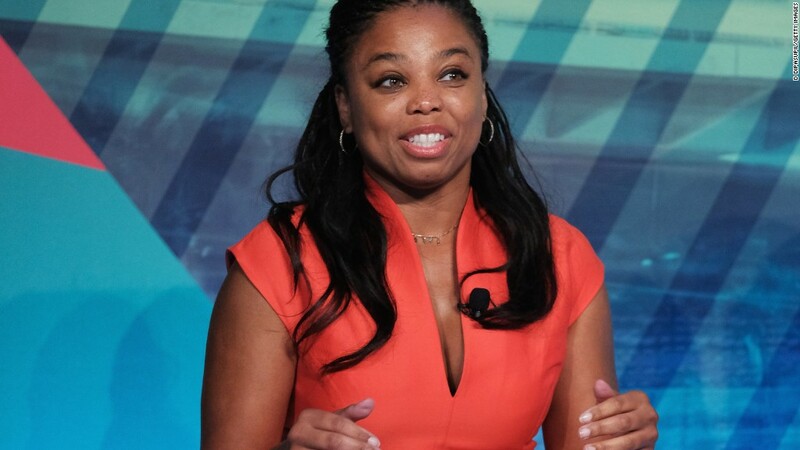 She apologized for the tweets and said she regretted that her comments "painted ESPN in an unfair light."